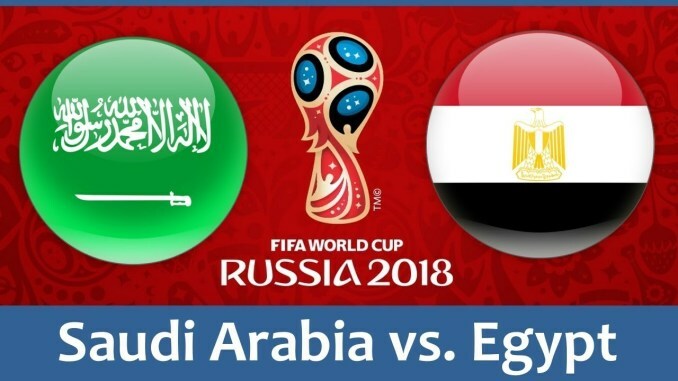 The clash between Saudi Arabia and Egypt will be played at the Volgograd Arena in Volgograd on June 25th. The Green Falcons were better in a match against Uruguay following a disappointing performance and a big defeat to Russia but still lost to Uruguay, while Egypt played well with the Russians until the unlucky moment and own goal that changed the course of the game. Saudi Arabia played way better against Uruguay after a big 5-0 loss to Russia in the opening game at the World Cup, but the Sky Blues still earned a 1-0 win, thanks to Luis Suarez’s goal in the 23rd minute, but it was a rather unimpressive display from the South Americans. It was evident that the Green Falcons improved on both ends of the pitch as they had three shots on target, but Fernando Muslera didn’t concede as Hattan Bahbir tried his luck in a couple occasions. On the other hand, the Egyptians looked for a better display against the Russians following an unlucky 1-0 defeat to Uruguay in the opener and managed to keep the net intact in the first half, but the hosts got to a 1-0 lead thanks to Ahmed Fathy’s own goal in the 47th minute. The Pharaohs were evidently shaken after that moment, so the Sbornaya exploited the lack concentration to add a couple of goals through Denis Cheryshev and Artem Dzyuba to create a big 3-0 lead. The punters who backed over 2.5 goals at +150 made a profit after just an hour of play, while Mohamed Salah softened the blow in the 73rd minute from the penalty spot and brought a joy to all who bet on BTTS at +110. Mohammad Al Sahlawi didn’t get the start in the previous match, but will likely be on the pitch from the first minute here and the striker who scored whopping 16 goals in the qualifications will pose the biggest threat to Egypt’s defense. After scoring Egypt’s only goal at the tournament so far, Mohamed Salah is expected to bring the first-ever victory at the World Cup to the Pharaohs. Considering the Green Falcons’ weak defense and his qualities, Salah shouldn’t have problems to get on the scoresheet, so you can back him to score anytime at -110. Saudi Arabia: Al Owais; Al Burayk, Hawsawi, Albulayhi, Al Shahrani; Bahbir, Al Faraj, Otayf, Al Jassim, Al Dawsari; Al Sahlawi. Egypt: El Shenawy; Fathy, Gabr, Hegazy, Abdel-Shafi; Hamed, Elneny; Trezeguet, Said, Salah; Mohsen. Egypt is favored in this clash and will have a fantastic opportunity to finally record the first win at the World Cup in the nation’s history, so I believe they will be highly motivated to return home with three points in the bag.